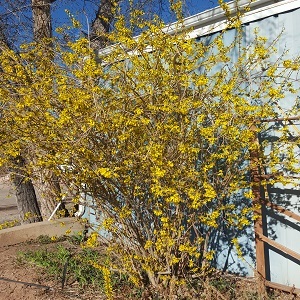 Spring Has Sprung in Moab! We are currently shaking off the cold and snow of winter, and LOVING the warm Spring weather here in Moab. Spring in Moab also means that our little town comes back to life and we start seeing lots of new faces! We've been looking for new guides, and we've found some great people who are excited to be getting out on the water this summer. We're also excited to see a lot of familiar faces making their way back to Moab as they finish up their winter employment and head for the sun! 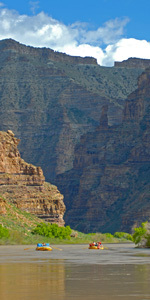 Spring is a great time to start rafting near Moab. Westwater Canyon is really great in March and April with few crowds, lots of wildlife and fun whitewater. 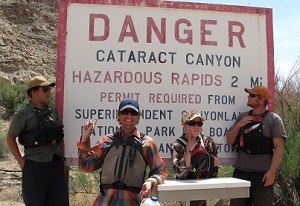 We include wetsuits and splash gear on all of our spring rafting trips. The Moab Daily Rafting trips are also really fun due to smaller crowds and mild whitewater. Check out one of these options if you are going to be in Moab during spring break! If you want to wait just a bit for things to warm up, and you love YOGA, check out our Yoga In the Park trip in Cataract Canyon on the Colorado River. 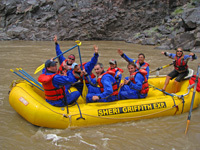 Another trip option for early May is our Whitewater School Rafting trip. Have you ever wanted to learn all about whitewater rafting and what it really takes to put on a great rafting trip? Whitewater School is for you! We train in reading water, rowing boats, outdoor cooking, camping, history, geology and games! If you can't tell, we are excited for spring to finally get here! There are lots of ways to get out and play in the beautiful spring weather, and we aim to take advantage of as many of them as we can. We encourage you to do the same!